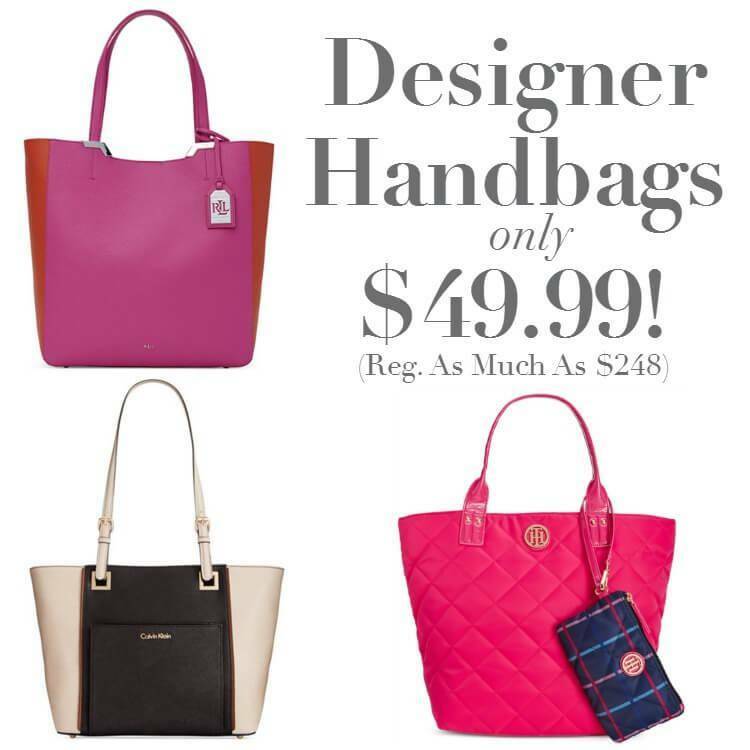 Home / Deals / Online Deals / Coupon Codes / Macy’s Designer Handbags only $49.99 (Reg. As Much As $248)! There is a BIG Macy’s Sale going on today and you can get Macy’s Designer Handbags for only $49.99 and they are normally as much as $248 which is a BIG price drop and you don’t even need any Macy’s Coupons! Just a tip: some of these are already sold out, so shop early! I LOVE this Lauren by Ralph Lauren Acadia Tote and it is down from $158 to $49.99! This Calvin Klein Saffiano Tote is also available for $49.99, down from $178 and it would go with anything because it has black, brown, and beige! LOVE that one! You can get this BIG Tommy Hilfiger Ali Quilted Nylon Extra Large Shopper Tote for $49.99! And also check out the Discount on Old Navy Gift Cards right now!